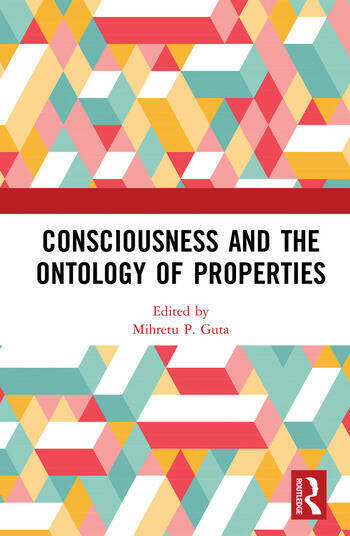 This book aims to show the centrality of a proper ontology of properties in thinking about consciousness. Philosophers have long grappled with what is now known as the hard problem of consciousness, i.e., how can subjective or qualitative features of our experience—such as how a strawberry tastes—arise from brain states? More recently, philosophers have incorporated what seems like promising empirical research from neuroscience and cognitive psychology in an attempt to bridge the gap between measurable mental states on the one hand, and phenomenal qualities on the other. In Consciousness and the Ontology of Properties, many of the leading philosophers working on this issue, as well as a few emerging scholars, have written 14 new essays on this problem. The essays address topics as diverse as substance dualism, mental causation, the metaphysics of artificial intelligence, the logic of conceivability, constitution, extended minds, the emergence of consciousness, and neuroscience and the unity and neural correlates of consciousness, but are nonetheless unified in a collective objective: the need for a proper ontology of properties to understand the hard problem of consciousness, both on non-empirical and empirical grounds. Mihretu P. Guta teaches philosophy at both the graduate and undergraduate levels at Biola University and at Azusa Pacific University, California. He co-edited with Sophie Gibb the Special Issue for the Journal of Consciousness Studies, entitled ‘Insights into the first-person perspective and the self: an interdisciplinary approach’, 11-12 (2015), and is currently working on a manuscript entitled The Metaphysics of Substance and Personhood: A Non-Theory-Laden Approach.